Mirchi Music Awards 2016: The Much Awaited 8th Mirchi Music Awards 2016 Has been held at Yash Raj Film Studios, Mumbai on 29th February 2016. Celebrities like Hrithik Roshan, Arjun Kapoor, Shah Rukh Khan and Much more attended the Award event. Radio Mirchi celebrates the best of Hindi music from the year gone by. What makes these awards special is that the winners are selected by the music fraternity itself. 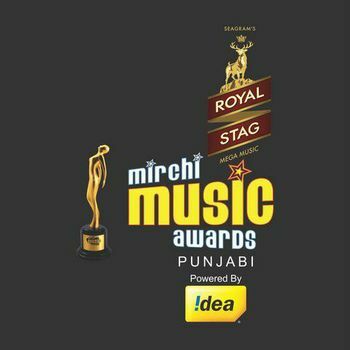 Royal Stag Mirchi Music Awards 2016 is the 8th edition of the Mirchi Music Awards which was held on 29th Feb 2016 at Yash Raj Film Studios, Mumbai. Bollywood Celebs Like Hrithik Roshan, Arjun Kapoor, Shah Rukh Khan, Yo Yo Honey Singh, Taapse Pannu, Surveen Chawla, Govinda, Shakti Kapoor, Aditi Rao Hydari, Dia Mirza, Rituparna Sengupta, Urvashi Rautela, Mika Singh and Gauahar Khan Attended the red carpet. Bajirao Mastani Movie bagged the most Awards and “Gerua” song from Dilwale movie were announced Song of The Year, according to the Times of India reports. Papon and Shreya Ghoshal earns with Vocalist of The Year for “Moh Moh Ke Dhaage” from the movie Dum Laga Ke Haisha and “Mohe Rang Do Laal” song from Bajirao Mastani movie, respectively.